A little-known fact in the tech industry is that a woman wrote the first instructions for a computer program. Ada Lovelace (also known as the Countess of Lovelace) was born in the early 19th century in London. When asked to translate an article on an analytical engine from French into English, she also added her own ideas on the subject. Ada’s ideas were three times longer than the original article, and ended up being published in a science journal in 1843. Ada is credited with inventing the algorithm for computing the Bernoulli numbers. The U.S. Department of Defense even uses a programming language dubbed Ada, in remembrance of the Countess of Lovelace. Ada Lovelace is but one of many famous women in the field of software engineering. You may recognize the name Hedy Lamarr as a famous actress from the 1930’s. In addition to acting, Hedy also worked with the U.S. military to invent a communication system controlled via remote control. Hedy’s work is still being implemented today in cutting-edge technologies like Wi-Fi and Bluetooth. In the 1950’s, many people scoffed at the idea of writing code with English words that could then be translated into a machine language for computers. Along came Grace Hopper in 1952 to prove them wrong by inventing a compiler. Many languages still in common use today, such as Java and C#, are here thanks to the impact of Grace Hopper’s compiler invention. One of the very first women to receive a software patent in the U.S. was Dr. Erna Hoover for her ground-breaking work with a telephone switching computer system. Dr. Hoover worked at Bell Labs as their very first female tech supervisor. She invented a system in the 1970’s that prevented overload when phones operated at high loads, thus changing the scope of dropped calls and busy signals. There are many women that continue to make history in the software engineering realm today. Sadly, the percentages of women software engineers have been decreasing into the 21st century. According to 2013 data from LinkedIn, roughly 16% of software engineers in the tech industry were women. That’s a surprisingly small statistic, given that women make up approximately 50% of the workforce in many other fields. In fact, the percentage of women in software engineering has gone down from 35% in the 1990’s. Throughout history, women have made a profound impact on the future of engineering. 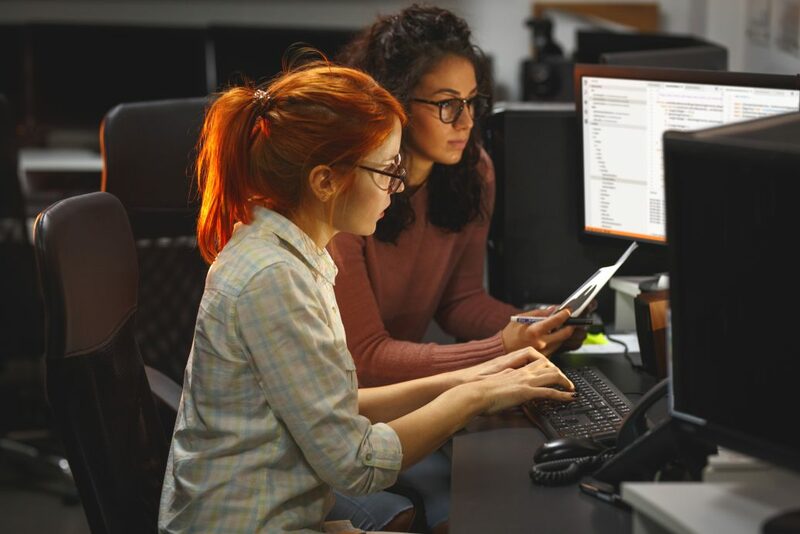 Right now, approximately 80% of STEM career opportunities are in the computing and programming realm, and there’s a huge opportunity for women to be at the forefront of software innovation, inventions, and cutting-edge technologies. We should encourage future generations of women to pursue roles in the software engineering field, and to follow in the footsteps of the women who trailblazed an engineering path for the world.